Scotch and Soda is the amateur theater group at Carnegie Mellon University. In the 1970s the group would produce one full length original musical each year. Each Spring the group would take over the Skibo ballroom and transform it into a theater. The stage was stored under the football stadium and had to hand carried in sections and rebuilt each year. WRCT and later our studio would provide sound reinforcement and a records (vinyl recording) of the production. The color photo shows Joel Wolensky recording the tracks for a recording of the show “A New Day” in the Fine Arts studio. Since the studio was located two floors above Exhibition hall he was linked using video. That’s a Crown of Elkhart two track recorder directly to his right. The six rack recorder and its electronics are to his far right. 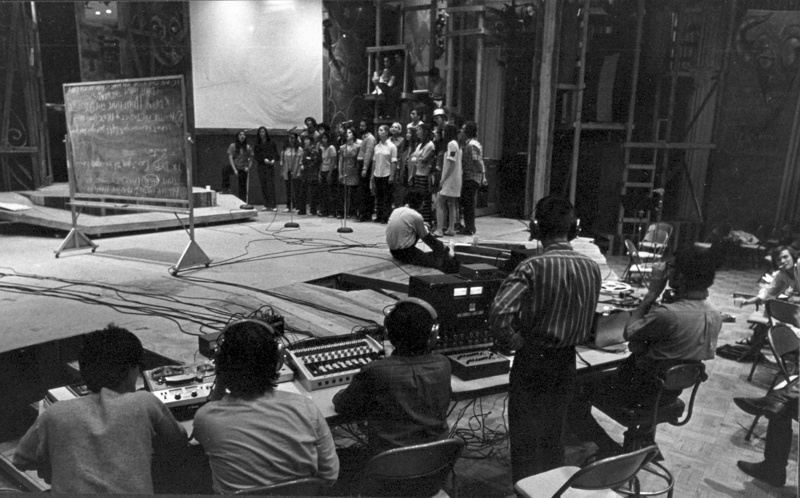 The black and white photo was taken in the Skibo ballroom as we recorded the band and chorus for the show “Festival” again using the six track recorder seen to the far right. The band is to the left out of the picture. 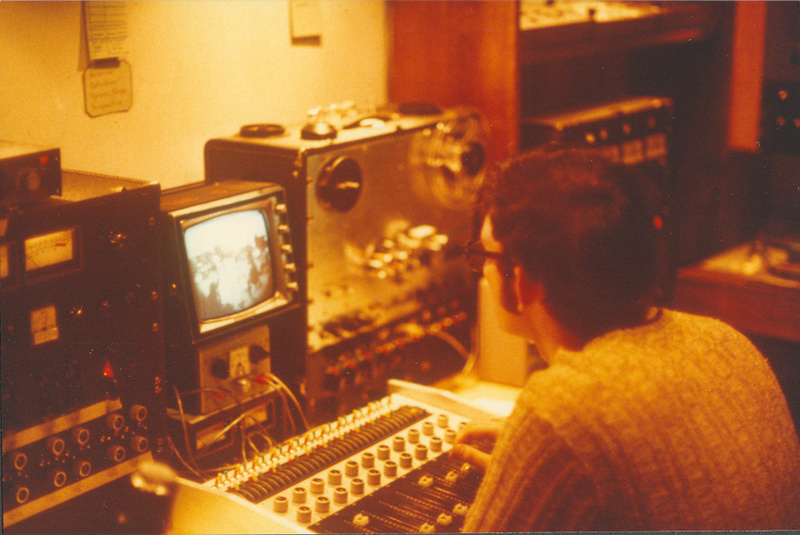 The Sony recorder and the board to the far left were used for a simultaneous stereo mix. As most of you know by now the Emlenton Mill burned last night. I plan to continue the blog and will include pictures of its last night in future posts. We want to thank the firefighters who braved the cold and ice and fire and everyone who has contacted us today. Thank you. We loved the Mill and will miss it.